Join us for an intimate evening of World Class organ music featuring, Polish Artist Gedymin Grubba in the beautiful setting of Brookshire Farm. This benefit concert will conclude our outstanding 2018/2019 Concert Series and all proceeds will go towards bringing the Acadiana Symphony Orchestra to Abbeville once again for a Free Concert. Beginning his public performance career in 1996, Gedymin has already given about 2,000 concerts throughout Europe (Austria, Belarus, Belgium, Croatia, Czech Republic, Denmark, Estonia, Finland, France, Germany, Hungary, Ireland, Italy, Latvia, Lithuania, Luxembourg, Moldova, the Netherlands, Norway, Poland, Romania, Russia (also Siberia), Serbia, Slovakia, Spain, Sweden, Switzerland, Ukraine, United Kingdom) and also in North America (Canada, Mexico, USA – 25), South America (Brazil, Bolivia, Chile), South Africa, Asia (Japan, Singapore, Hong Kong), Australia and New Zealand. 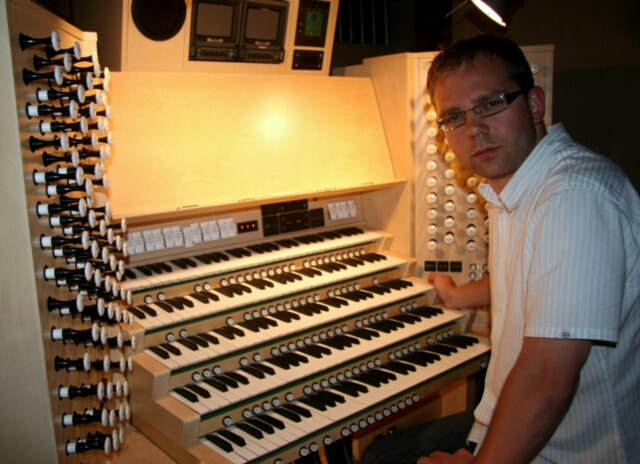 He is one of the most active Polish concert organist. Each year he performs in about one hundred concerts globally, not only as a soloist, but also as: a chamber music player, composer and as a conductor. 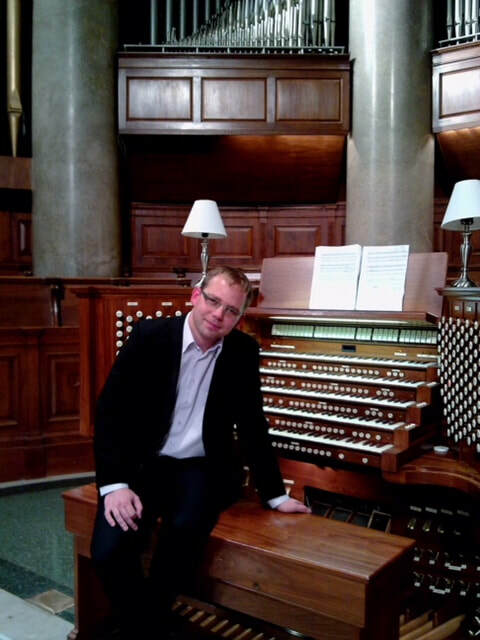 In 2010 he was the main adjudicator at the Organ Music Society of Sydney Young Organists’ competition in Sydney, Australia. From 2012 to 2014, he was a member of the chapter at the Municipal Council Mayor Pelplin and for the years 2012 to 2016 he was elected president of the chapter on Ageing Tczew, an organization responsible for awarding prizes and distinctions in the field of cultural activity. He is regularly invited to perform the opening and final concerts as well as concerts receiving new or restored or reconstructed organs. He is a laureate of many organ and composition competitions and has been presented with three grants from the President of Gdansk, one from Minister of Culture and National Heritage and one from the Mayer of Pomerania. In 1999, at the age of only 18 (17), Gedymin Grubba initiated The International Festival of Organ Music at the Pelplin Cathedral and continues in the role of Festival Director. The Festival is one of the most significant and prestigious cultural events of its kind in Europe, successfully bringing artists and audiences from around the world. It is thanks to the Festival the reconstruction of the unique baroque organ (dated to XVII century) in the cathedral was possible and was first used in 2003. In 1999, he also initiated a series of Chamber Music Evenings in Koronowo. In 2009, Gedymin Grubba was rewarded for his cultural activity with the prestigious “Mestwin” award and in 2011 he received a medal for his contribution to the City and Municipality Pelplin. Awarded in 2017 by the Minister of Culture and National Heritage with the Honorary Badge "DESERVED FOR POLISH CULTURE". Please join us for this once in a lifetime event. Wine and hors' deurves will be served. Gedymin Grubba – (born 1981) awarded in 2017 by the Polish Minister of Culture and National Heritage with the Honorary Badge "DESERVED FOR POLISH CULTURE" an international organist, composer, conductor performing about 100 concerts each year around the world. He is one of the most active Polish concert organist! So far he traveled around the world 5 times with the world concert tours in whole Europe, the both Americas (including the 25 US), South Africa, Asia, Australia and Oceania. In 2016 he marked the 20th anniversary of his artistic work. So far he gave about 2.000 recitals. He has recorded a number of CD’s (20 incl. DVD) and numerous recordings for radio and television in the world. He frequently conducts master-classes and is invited to be an adjudicator for organ competitions in the world. From 1999 he is the Director of the International Festival of Organ Music at the Cathedral in Pelplin which is one of the most significant and prestigious cultural events of its kind in Europe. Last year was 20th edition of the Festival. Since 2003 he is also Chairman of the Promotion of Art Gabriel Fauré Foundation which organize about 50 concerts a year. Copyright © 2018 Vermilion Arts Council. All rights reserved.